Hi there! Today’s post is about a gift set I got my hands on during last year’s post-Chistmas sales. 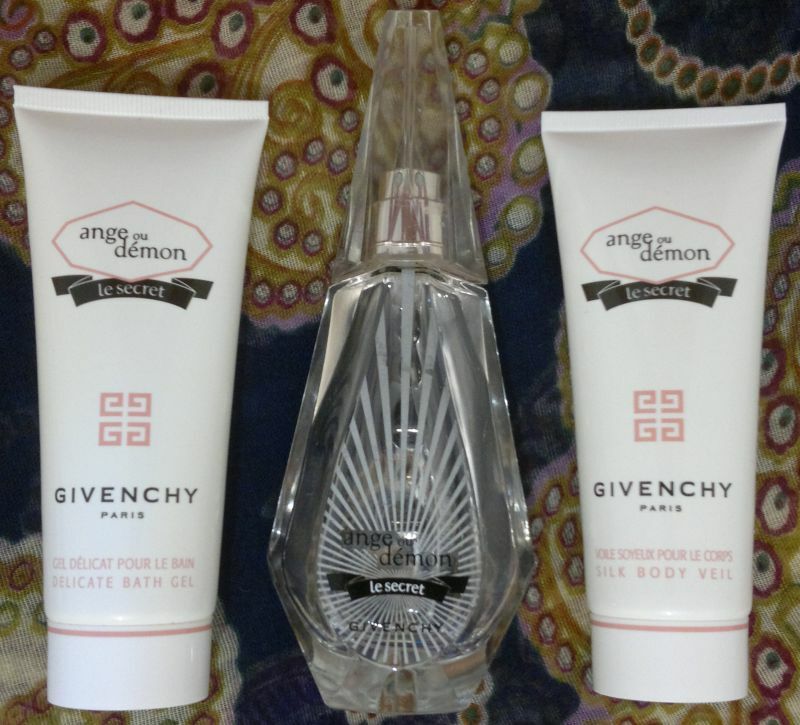 The gift set in question contained Givenchy’s Ange ou Démon Le Secret EdP (50ml), and the matching shower gel and body lotion (75ml). The Delicate Bath Gel is quite nice. I’m using it as a shower gel (What difference does it make?). The fragrance is lovely and the formula is non-drying. I love it. The Silky Body Veil is very nice. It goes on like a light moisturiser, but it feels very silky. Again, the fragrance is nice – and actually quite strong! OK, so what’s the fragrance like? Givenchy Ange ou Démon Le Secret is lovely. It smells like a mix of jasmine tea and lemon. It’s fresh, but feminine. It’s modern and youthful, but it’s not one of those sickly sweet candy fragrances. It’s suitable for the office, but also for a night out. The only thing that’s not great is that it’s not a very long-lastig fragrance. But this isn’t necessarily a bad thing (well, not for me) because I will be able to finish this one soon. I think I have about 10ml left in the bottle. And whilst I don’t think I’ll finish the fragrance this month, I’m confident it’ll be gone by the end of January.